The 85th annual LULAC National Convention & Exposition took place in New York City earlier this month. Each year, over 20,000 participants attend this premier Latino convention, including top leaders from government, business, and the Latino community. The theme for this year’s convention was “The Power of Latino Unity,” with many opportunities to celebrate this unity as well as our diverse culture. This event was a chance to learn more about the challenges that remain for our people and to recognize the triumphs we have achieved together. This year’s convention featured numerous seminars and workshops on critical topics, a job fair, and special events and leadership development activities for LULAC young adult members. During the five-­‐day convention, participants representing Latino communities from across the country discussed the pressing issues facing our community, and most importantly, directed our path forward. Nissan Motor Company also hosted the LNESC Appreciation Reception at the convention, where we recognized many of our corporate partners like Nissan, AT&T, Shell, P&G, Target, US Army, Verizon and McDonald’s just to name a few, for their consistent support and sponsorship of our organization’s educational programs. Even First Lady Michelle Obama graced us with her presence this year and gave special recognition to the work of LNESC. Since 1973, LNESC, LULAC’s educational arm -­‐ has provided educational programming services to more than 18,000 Hispanic students per year at fourteen regional centers and has provided approximately a million dollars in scholarships to Hispanic students each year. “At LNESC, we believe in building a solid education foundation for our youth to ensure they succeed and become leaders in their communities,” states Richard Roybal, Executive Director of LNESC. Digital learning can enhance traditional classroom learning by igniting student curiosity and fueling scholastic inquiry. Access to modern connectivity in our classrooms means that students and teachers have access to new and innovative methods that enrich the learning experience while simultaneously helping our students develop the digital literacy skills they need to succeed in tomorrow’s world. And along the way, broadband connectivity delivers access to technology-­‐assisted,individualized lessons, interactive educational games, online quizzes, and other resources that complement classroom learning. That is why modernizing our nation’s E-­‐Rate program will allow the subsidizing of broadband access into schools and public libraries plays a vital role in education. This is an especially critical issue for our Latino students. Brimming with potential, intelligence, and talent, some of America’s Latino students nonetheless have unique challenges that too often keep them from achieving their academic goals. Lack of reliable access to broadband is frequently one of those challenges—which is also true for many other minority students, including those in rural schools. From our position at the forefront of this issue, it’s clear that the focus must remain on ensuring that all students have access to broadband connectivity if they are to access the resources and develop the skills they will need for the 21st century. Today’s young people are tomorrow’s leaders. Every community must work together to make sure that our young people have equal opportunity to overcome challenges and succeed. Washington, D. C. –The LULAC National Educational Service Centers, Inc. (LNESC) is announcing the ExxonMobil/LNESC Scholarship program national recipient, Stephanie Diaz of El Paso, Texas, and twelve local awardees from across LNESC’s program sites. Ms. Diaz will receive a four-year $20,000 scholarship to pursue a degree in Aerospace Engineering at Massachusetts Institute of Technology, and will attend the LULAC National Convention in New York, NY in July. “The ExxonMobil/LNESC Scholarship Program will not only provide me with financial aid to afford an engineering education at the Massachusetts Institute of Technology, but also a source of motivation to help other Latinos acquire an education. I hope to inspire other potential engineers who, like me, come from a humble background, to remain perseverant and work innovatively toward a future in STEM,” stated Diaz. According to the Pew Research Hispanic Center, a record-setting 69 percent of Hispanic high school graduates enrolled in college last year. Despite the attainment gap narrowing, however, Hispanics continue to lag behind their counterparts in obtaining a bachelor’s degree, especially in science, technology, engineering and math (STEM) disciplines. Exxon Mobil Corporation, the largest publicly traded international oil and gas company, uses technology and innovation to help meet the world’s growing energy needs. ExxonMobil holds an industry-leading inventory of resources, is the largest refiner and marketer of petroleum products and its chemical company is one of the largest in the world. ExxonMobil engages in a range of philanthropic activities that advance education, with a focus on math and science in the U.S., promote women as catalysts for development, and combat malaria. In 2013, together with its employees and retirees, ExxonMobil, its divisions and affiliates, and the ExxonMobil Foundation provided $269 million in contributions worldwide. Additional information on ExxonMobil’s community partnerships and contribution programs is available atwww.exxonmobil.com/community. Earlier this month, I attended the 2014 Building a GradNation Summit, the annual conference for the GradNation campaign. Launched just four years ago by America’s Promise Alliance, this campaign is a powerful and growing movement consisting of dedicated individuals, communities, and organizations, all working together on a critical goal: increasing our country’s high school graduation rate. GradNation’s goal is to achieve a nationwide 90 percent high school graduation rate by 2020. At the conference, it was announced that for the first time, America’s on-time graduation rate is 80 percent. As excited as attendees were to hear this great news, this important achievement also highlights the work left to do. This milestone shows that our country is on track to achieve that 90 percent goal, but getting there will take an extra push. My time at this summit—surrounded by driven, dynamic people and vibrant, inspirational voices—showed me that this goal is absolutely achievable. The summit featured numerous national leaders, who offered encouragement, as well as individual young people who told their own stories of overcoming challenges. Organizations and sponsors of GradNation have committed generous resources toward reaching these goals. Take for instance, AT&T, a longtime sponsor of this effort, has committed $350 million through the AT&T Aspire program. Since 2008, over one million students have benefitted from this program, which also supports local organizations working to increase graduation rates in specific communities. “Previous AT&T Aspire grants have helped increase LNESC’s ability to make a significant impact on the lives of our disadvantaged youth, especially at the grassroots level,” said Richard Roybal, Executive Director, LNESC. “Specifically, our LNESC programs geared towards increasing high school graduation and postsecondary enrollment rates. One such program is LNESC’s Upward Bound, whose services include academic instruction, tutoring, mentoring, cultural enrichment, educational advising, and financial literacy education.” This is just one example of the organizations working to make a difference for our country’s students. At LNESC, we work toward these same goals, through our education centers and through innovative educational programming. I’m proud to report that since 1973, LNESC has served over 500,000 students, sent 150,000 students to college, and awarded nearly $20 million in scholarships. I’m especially thrilled that the dropout rate among Hispanic students fell to a record low of 15 percent, and that the dropout rate for this group is falling more quickly than that of any other, according to a recent Pew Research Center report. Ensuring that more students graduate from high school is an ambitious effort, but a worthwhile one. Young people who graduate from high school on time and prepared for college, careers, and life challenges are individuals who are ready to take their positions as tomorrow’s leaders. We’re pleased with these developments and determined to support initiatives that make a real difference for our students. The progress that has been made so far shows that we are on the right track and that working together, dedicated people and generous organizations can make a difference. Making sure that our young people have a solid educational foundation is the best way to ensure their future economic stability and career success. Let’s work to support these young people and make sure that they have the resources and tools they need to succeed. Along the way, we might even discover that 90 percent is just a starting point. NEW YORK — Hispanic students, the largest minority group in New York City public schools, are the focus of a new after school program in the Bronx designed to grow interest and skill in science, technology, engineering and mathematics (STEM) fields. The STEM Explorer Program for high school students is based at DeWitt Clinton High School, the first such program in New York City.. The program is sponsored by LULAC National Education Services Center, Inc. (LNESC) and the Verizon Foundation, in partnership with The Sports Foundation. Latino high school students meet two hours each week for hands-on laboratory work, technology instruction and off campus field trips as part of a work plan designed to encourage them to pursue science, engineering or technology related courses in high school and college. The instruction is led by teachers who are certified in STEM courses, and volunteer professionals will offer career counseling to students. “As part of its mission to become the high school of choice for all families in the Bronx, DeWitt Clinton is proud to partner with the League of United Latin American Citizens (LULAC) and the LULAC National Educational Services Centers (LNESC) to bring its first STEM program to New York City public schools. Thanks to a sponsorship by Verizon, a group of students at DeWitt Clinton High School have the opportunity to experience and participate in this hands-on STEM after school program,” said Santiago Taveras, DeWitt Clinton High School principal. “This program is meant to ignite an interest to pursue careers in science, technology, engineering, and mathematics, areas that hold the promise of future employment and economic success,” Taveras added. “At Verizon, we believe in the transformative power of our technology and its role in improving outcomes and preparing students for success in the 21st century. We are excited to continue our partnership with LNESC in support of efforts to inspire more youth to pursue STEM-related careers,” said Emilio Gonzalez, Executive Director for Strategic Alliances, Verizon. With Hispanics making up the largest minority group at colleges and universities across the U.S., the Bronx initiative is now part of a national effort to help develop Latino students’ interest and skills in the STEM fields. 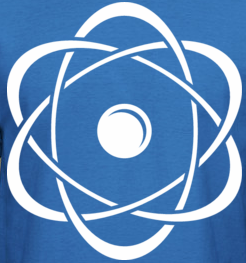 LNESC has seen results from other similar initiatives across the U.S., including higher grades in math and science courses recorded by participants, continued enrollment in high school STEM courses, and a rise in the number of underrepresented minorities in postsecondary STEM studies and careers. 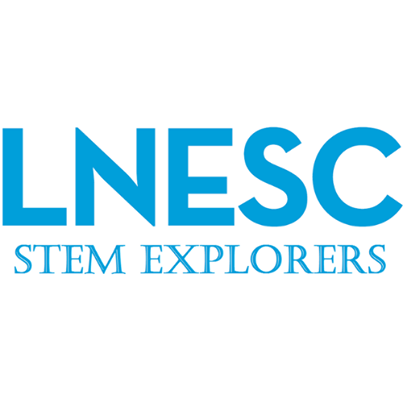 Along with the Bronx, LNESC and the Verizon Foundations began this year a new round of STEM Explorer programs in other cities, including: Moody High School in Corpus Christi, TX; Kensington Health & Science Academy in Philadelphia, PA; McCollum High School in San Antonio, TX; Harrison High School in Colorado Springs, CO.
“LULAC Is proud to partner with the sports foundation & De Witt Clinton high school two prestigious organizations that have dedicated themselves to the advancement of the youth.” Ralina Cardona, LULAC Vice President for the northeast. LULAC National Educational Service Centers, Inc. (LNESC) was established in 1973 by the League of United Latin American Citizens (LULAC) to provide educational programming to high-need students throughout the U.S. and Puerto Rico. Throughout 14 education and technology centers, LNESC has served over 500,000 students, sent 150,000 students on to college, and awarded nearly $20 million in scholarships. LNESC’s results are made possible by a network of dedicated field staff, top-notch teachers, over 90 school partners, and the support of LULAC – the nation’s largest membership based Latino organization. LNESC works to change lives and build Latino communities, one student at a time. More information about LNESC and its programs can be found at http://www.LNESC.org. Verizon Communications Inc. (NYSE, Nasdaq: VZ), headquartered in New York, is a global leader in delivering broadband and other wireless and wireline communications services to consumer, business, government and wholesale customers. Verizon Wireless operates America’s most reliable wireless network, with 100 million retail customers nationwide. Verizon also provides converged communications, information and entertainment services over America’s most advanced fiber-optic network, and delivers integrated business solutions to customers in more than 150 countries, including all of the Fortune 500. A Dow 30 company with $111 billion in 2011 revenues, Verizon employs a diverse workforce of 184,500. For more information, visit http://www.verizon.com. When it comes to education, a “one size fits all” approach doesn’t provide our students with the best possible education. Some students grasp new concepts right away, while others may need a little more guidance. That’s why dedicated educators are always searching for new tools and resources to strengthen the learning experience and help all students achieve more. And today, teachers and schools across the country are using the Internet and other advanced communications technologies as those tools – to enhance the learning experience and teach the digital literacy skills our students need to succeed. This month marks the third annual Digital Learning Day, a celebration of innovative teaching and technology-assisted methods that can unlock the potential in any student. Digital Learning Day is also an opportunity to learn how robust digital learning environments can help students learn and give them essential tools for success. Here at LNESC, we’re always searching for new resources and methods we can use to help Latino students, and to that end, we’ve embraced digital learning as an essential component to 21st century education. We offer innovative programs that emphasize literacy and STEM (science, technology, engineering, and math), as well as academic counseling and workshops on college access. So far, LNESC has served over 500,000 students, sent 150,000 students to college, and awarded almost $20 million in scholarships. Working with our network of 14 education and technology centers across the country and with over 90 partner schools, our programs are designed to help bridge the gap between Latino students and the opportunities they deserve. We utilize our essential network to reach high-need Latino students and to help them take their places as our future leaders. But we also acknowledge the importance of access to a different key network: high-speed broadband. Expanded access to fast, reliable broadband networks in our nation’s schools and libraries can help us reach more students, of course. It can also help students find opportunities and access resources of which they might not otherwise know. Without broadband access, teachers cannot enrich traditional classroom instruction with the digital learning features designed to prepare our students for future challenges. But right now, the quality of Internet in too many of our schools and libraries does not offer the capacity or speeds needed for today’s innovative learning tools. That’s why The White House announced “ConnectED” initiative. This program calls for expanded access to modern broadband connectivity—which supports the speeds and bandwidth that our students need—to 99 percent of K–12 students within five years. Additionally, various private companies have stepped up, offering resources to help achieve the goals of this initiative. This is just one instance of how the private sector and government must work together to move us forward and reach the goal of universal broadband connectivity. These broadband networks deliver opportunities and new possibilities to our schools and all kinds of people. This connectivity can help ensure that everyone has a chance to achieve potential and to benefit from lifelong learning. Our country’s networks must also be upgraded and enhanced to keep pace with innovation, and the shift to next-generation nationwide broadband networks will require modern rules that encourage investment and creative solutions. Along the way, ensuring equality of opportunity—for our Latino students and for all students of all ages—must remain a key objective. Perhaps the biggest consistent challenge in educating students is that we can’t prepare them for what’s expected—we must instead prepare them for a future that we cannot foresee. Embracing today’s digital learning initiatives will help students develop the tools they need to succeed, and paving the way for tomorrow’s networks and innovations will lead us to a future of limitless possibilities and potential for every student. According to a study conducted by Donald J. Hernandez Professor of Sociology at Hunter College and the Graduate Center, City University of New York, one in six children (roughly 16%) who are not reading proficiently in the third grade do not graduate from high school on time, a rate four times greater than that for proficient readers. In addition the study shows that about one in four (25%) Hispanic students who are not reading proficiently in third grade will not graduate from high school. In comparison to one in eight (13%) white students not reading proficiently by the third grade. LNESC and Proctor & Gamble have been partnered together 10+ years with the same goal in mind, supporting the community and committing to improving the life of children and their families through education. To hear more stories of how Latina educators are impacting our communities visit Orgullosa’s Facebook page at www.facebook.com/orgullosa. Tags: education, lnesc, lulac, orgullosa, p&g, reading, students | Permalink. According to recent data from the Pew Hispanic Center, our hard work is paying off. For the first time, the number of 18- to 24-year-old Latinos enrolled in college exceeded 2 million and reached a record 16.5 percent share of all college enrollments. We are now, for the first time, the largest minority group among the country’s four-year college and university students. This trend is due, in part, to the success of organizations like LNESC and our work to build private and public partnerships for the benefit of high-need students. LNESC was recently awarded 12 federal Upward Bound and Talent Search grants to provide thousands of students with academic and college access counseling. These programs are essential components of LNESC’s strategy to close the achievement gap in the Hispanic community. Nationally, 91 percent of Upward Bound participants who graduate from high school enroll in a post-secondary degree program the year of their graduation, compared to 41 percent of students not in an Upward Bound program. Throughout our history, LNESC has achieved amazing results working in a wide range of educational areas; including college access, literacy, and scholarship assistance. Through our network of 14 Young Readers programs, LNESC provides cutting edge literacy programming to k-2nd graders. Our Young Readers network leverages passionate teachers, technology, and engaged corporate partners like P&G, Target, and Verizon to improve reading outcomes for high need students with limited reading time outside the classroom. Thanks to LNESC’s hard work, there are more students excited to read in Miami, FL, more students entering their freshmen year at universities across the nation, and fewer parents wondering how they will pay for college. While we take pride in these accomplishments, we know there is still work to do. Many students are still in need of guidance, inspiration, and resources to make their educational dreams a reality and as we celebrate our 40th anniversary, we will continue to make these students our top priority.